New works by 8 of the most notorious Mambo artists: Matthew Martin, David McKay, Paul McNeil, Jim Mitchell, Reg Mombassa, Robert Moore, Jeff Raglus, Gerry Wedd. Mambo rose out of the early 1980’s Sydney post-punk scene, founded by Phantom Records visionary entrepreneur Dare Jennings. 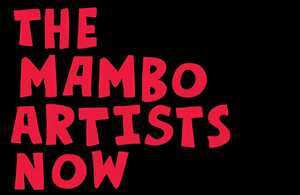 Drawing on the talents of self-taught outsiders, muso-slash-visual artists, poster, graphic & comic artists and refugees from the Yellow House, Mambo was more an art movement than a clothing brand, built on a foundation of subversive vernacular, satire, music, surf and politics.